We have a gorgeous apple tree in our garden that my husband planted when he was younger. About two years ago we had apples everywhere! As I was handing them out to friends and family I kept getting asked what type of apples they were and I had no clue! Well I was was on Twitter and saw a tweet promoting Winchester Mill’s Apple Day. When I looked into it further they said that if you brought in your apples they would identify them for you. So, of course I had to go! I was told that they were pretty sure they were Spartan apples. They looked at the skin, shape, and most importantly the seeds. If you cut them in half it’s how the star is shaped. Well, last years apple hull was disappointing, as it usually is after a good year, so I didn’t go crazy with apples. However, this year we have had loads! So, I’ve got to baking and eating! Here are two things I have made so far. 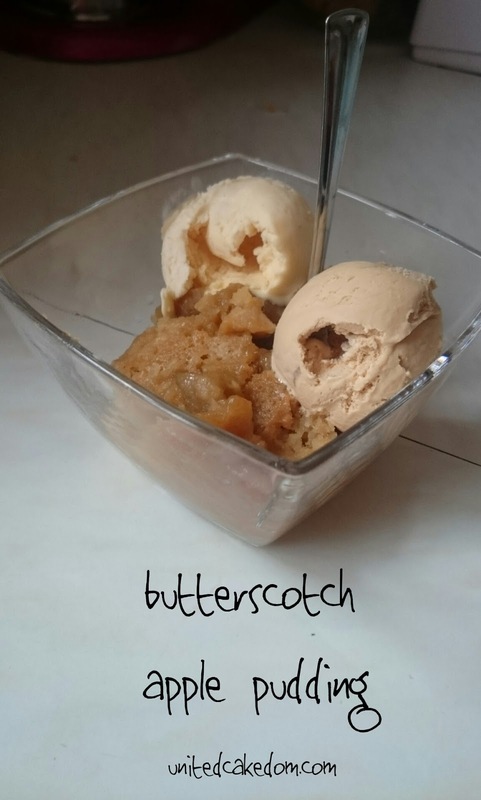 The first being a simple apple pudding from Rachel Allen and the second an American favorite Apple Butter. The Butterscotch Apple Pudding is a super easy and comforting dessert. Just before your comforting roast or stew or pie in the oven start preparing this dessert. It can bake in the oven while you eat and then will be warm and ready for a big spoon of ice cream! Heat the oven to 180C. Scatter the chopped apples evenly into the bottom of a 20x30cm ovenproof dish. Put the flour, salt, and half the sugar (100g) into a bowl and gently whisk. In a jug measure out the milk and then add the melted butter, vanilla extract, and egg. Like when making muffins, pour the wet ingredients into the dry ones and whisk just until it’s mixed. Pour the mixture over the chopped apples. 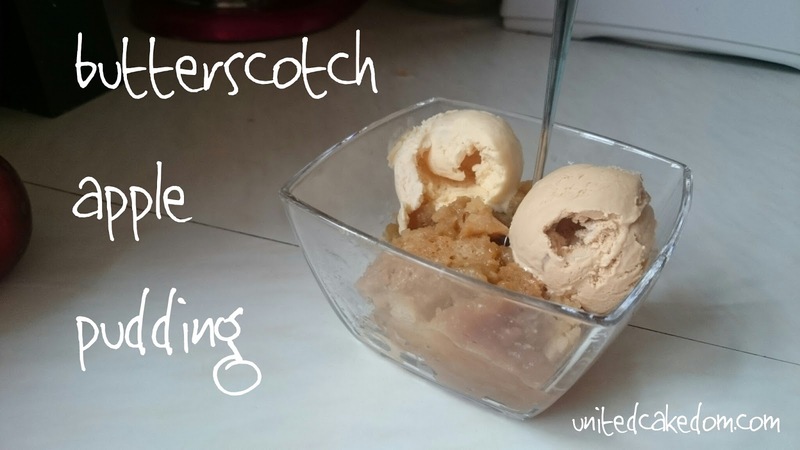 To make the butterscotch put the golden syrup in a sauce pan with 150ml boiling water and the rest of the sugar (100g). Stir while the water is starting to boil and continue until the sugar has dissolved. It is a bit more liquidy then I thought it would have been, but don’t worry it all sorts out in the oven! Pour the sugar mixture over the batter as evenly as possible. Pop it in the preheated oven and bake for 30 minutes, the sponge should be a golden light color and spring back when prodded. 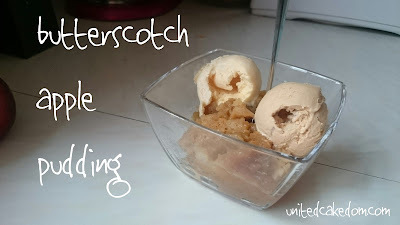 I served mine with salted caramel ice cream, but feel free to use cream or custard or any other flavor of ice cream! The next thing I made with all the excess apples we have hanging around was Apple Butter. There isn’t actually any butter in it, incase you didn’t know! There are many recipes out there and most of them American, because it’s an American thing. 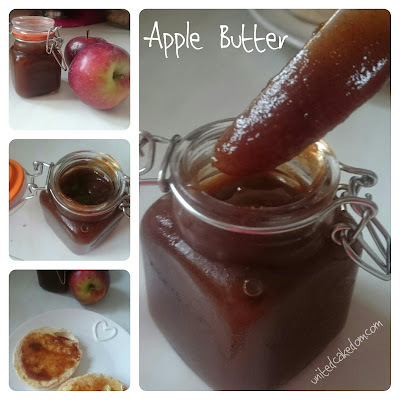 Apple Butter that is! When you make Apple Butter it is better then having any-old smelling “Apple Spice” candle in your house, it makes the whole house smell delicious with spices like cinnamon, nutmeg, ginger, and cloves how could it not? My apple butter wasn’t as thick as I thought it should be, it’s possible because I didn’t do mine overnight, but through the day. So, when it was down to the 12th hour I was ready for bed! Perhaps I jumped the gun a little and blitzed it before it was ready. Oh well, it’s still tasty and a whole jar has already been used, with the majority of it being given to friends and family. 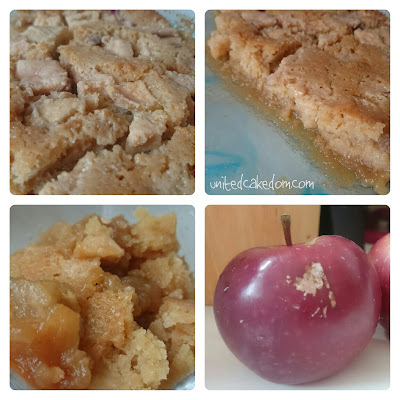 For the recipe visit Cakeyboi for his Easy Apple Butter which is the recipe I used! He’s also recently made Pumpkin Spice Latte Butter in his slow cooker! Thinking I might have to try that out next!! notes: The recipe was adapted from Rachel Allen’s Home Cooking, but can also be found online here. The Winchester City Mill Day was talked about in this post here! I am currently rounding up the Apple Linky I hosted from early September to October so be prepared for lots of apple recipes! Apples have had a really good season this year! Thanks for the link Lisa! Your pudding looks amazing - when you made the apple butter did you remove the lid for a while to let moisture escape? Although it's not a thick thick spread.